Speaking at the world premiere of her documentary, the filmmaker spoke about why she was compelled to focus on subject of triple talaq and the importance of letting the women’s voices speak for themselves. 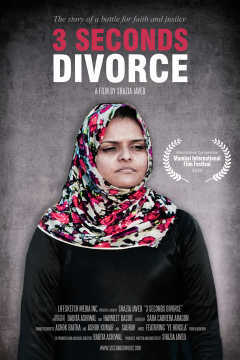 The 54-minute documentary 3 Seconds Divorce began its festival journey at the 15th Mumbai International Film Festival in the International Competition section. It was important for filmmaker Shazia Javed for the film to get its start here in the presence of women who gave their voices to the film. 3 Seconds Divorce speaks out on the issue of triple talaq (obtaining divorce by saying 'talaq' thrice) in the Muslim community. Javed and her co-producer and cinematographer, Babita Ashiwal, beamed after the film’s world premiere on 1 February 2018. The housefull screening was attended by many of the women who are featured in the documentary. The filmmaker, who lives in Canada, spoke with Cinestaan.com about how she wanted to address the issue of triple talaq and give those affected a chance to raise their voice. “Triple talaq was a subject that I wanted to explore ever since I was a young girl going to school, growing up in Delhi. It used to bother me that something like this existed and it had so much power to just make a woman homeless in seconds. As a Muslim woman growing up, I questioned it even more,” Javed said. She recalled reading an article in a newspaper by Asghar Ali Engineer. “He gave these arguments about alternate interpretations and how you can do a general interpretation of the text,” she read and found an alternate way of looking at the issue. As a student, there wasn’t much she could do then, but she wrote a letter to the editor. 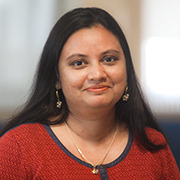 By 2014, as a filmmaker, she had made a few films including the short documentary, Namrata (2009), which was produced by the National Film Board of Canada. Namrata was the story of an Indian woman who migrated to Canada from India and found herself in an abusive marriage. She gained the courage to leave the wedlock and became a police officer. Javed decided to make her next documentary on triple talaq and began shooting in 2014. The Supreme Court declared triple talaq unconstitutional in August 2017. “Interestingly, at that time, there wasn’t much information out there and as we kept shooting, it kept picking up steam. (3 Seconds Divorce) is able to capture that movement,” she said. “Every time I heard someone talk about halala, I would cringe. This is something I just couldn’t process. But one thing I knew for sure, as I spoke to these women, they were all articulate, courageous and willing to come in front of the camera. They all wanted justice,” Javed added. She didn’t want to portray them as victims or pitiable and stressed she didn’t come in with a saviour complex mostly associated with filmmakers. “My job was to amplify their voice, give them a platform and deal with it within that framework. My own background as an Indian Muslim woman did help with that. I’m not a stranger,” she said. The documentary also features several members of the Bhartiya Muslim Mahila Andolan (BMMA) who did the groundwork — doing research and undertaking surveys as well as drafting alternate laws. Javed said BMMA were able to articulate what the need was. She called the nationwide rallying against triple talaq as “one of the biggest revolutions led by Muslim women in the history of India”. The movement had several allies (women from all religions and walks of life) who volunteered to help them out. Javed feels proud that her documentary was able to capture a slice of this history. 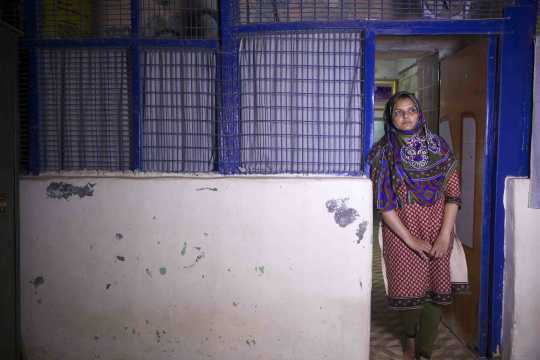 She added the Supreme Court ruling validated the long fight for justice for women like Lubna and the other activists. “It gives you the strength that what I did was worth it. There’s a lot of validation that they’re feeling at this moment,” Javed said. For now, 3 Seconds Divorce begins its festival rounds and has already secured a television broadcaster. Javed also hopes, like her earlier films, the film will lead to a broader discussion at community screenings.